LIGHTS OUT is a four part vocal tribute to Frankie Valli and the Four Seasons. This popular multi-talented group has been entertaining audiences for years by focusing on the art of harmony and the pure sound of voices. 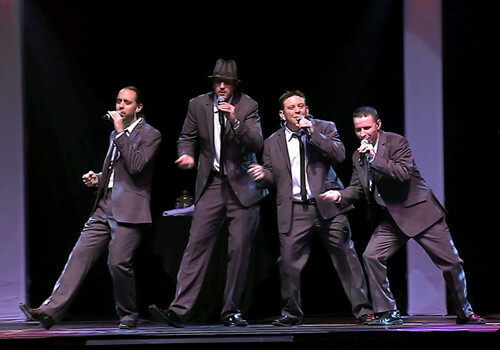 LIGHTS OUT incorporates acapella, a Journey Through Musical Time (hits from the 50’s through the 90’s), and, of course, the sounds of Frankie Valli into an exciting show that has audiences dancing, singing, and laughing throughout the entire show. With a lead singer whose voice is virtually identical to Frankie Valli himself, the group’s infectious personality and fully choreographed show leaves audiences wanting more even after the curtain falls.